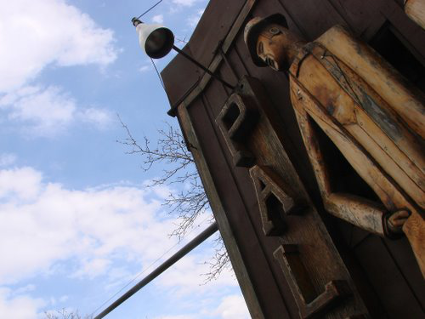 After some searching, I located the sign outside a charming looking dive called Palmer's Bar. I was moving the view around to get a better look when I somehow ended up inside the bar. Google had sent its reality-indexing cameras inside the building. 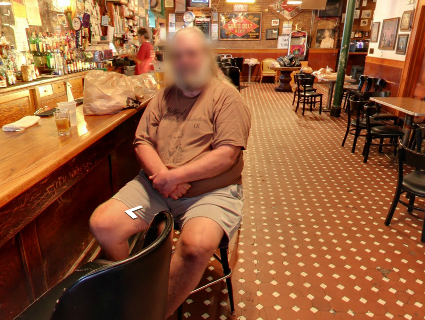 First, I encountered a patron sitting on a barstool whose privacy algorithm blurred face didn't hide his look of amusement. 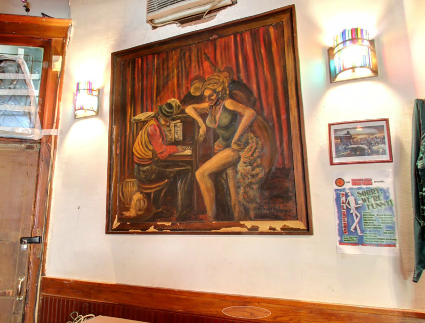 I brushed past him and sauntered over to the piano in the corner, spotting an artwork that looked like something J.J. Evans might have painted on the '70s sitcom Good Times. After checking out the interior like a building inspector -- there's some possible water damage on the ceiling -- I found my way back outside through the door. 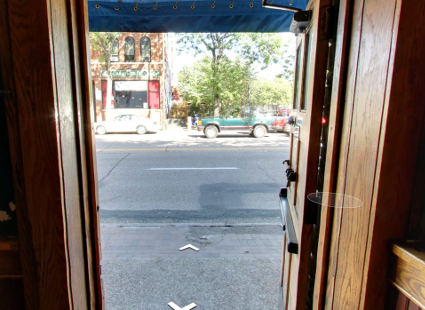 The bar has been crawled with Indoor Google Maps, another technological marvel from the search giant that is equal parts amazing and terrifying. The feature has been around since 2011, apparently, but I didn't know about it until I stumbled into a bar. Nice to run into you. I wish Google had figured out a way for me to order a beer while I was there. Is Grain Belt any good?